Raewyn Lovett has been instrumental in the growth of Duncan Cotterill and has held significant leadership roles within the firm, including chair of the board. Lovett holds a number of significant board roles, particularly in relation to sport and wellbeing. 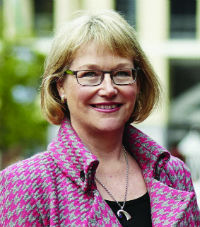 She chairs Aktive – Auckland Sport and Recreation, Quotable Value Limited, and Dunedin Venues Management Limited. She is also a trustee of Medicine Mondiale Trust, chair of the Elite Selection Commission of Triathlon New Zealand and a trustee of CHT Healthcare Trust. In 2015, Lovett was honoured as an Officer of the New Zealand Order of Merit for services to netball, recognising her seven years as chair, during which time she lead changes in Netball New Zealand and played a key role in the establishment of Netball’s trans-Tasman ANZ Championship.